Medsync: Pick Up All Your Prescriptions at the Same Time! Managing your medications and remembering to call the pharmacy for prescription refills can be challenging, especially if you’re juggling multiple medications. Forgetting to call in a refill can result in missed doses, which can have serious negative side effects on your health. Multiple medications lead to multiple trips to the pharmacy. Wouldn’t it be great if there was a way to sync up all your prescriptions? While we love seeing you here at Oswald’s, wouldn’t it be more convenient to pick up all your medications at the same time every month or, in some cases, every 3 months? Medication synchronization (“MedSync”) allows us to align all of your maintenance medications* to be filled and ready for pickup at the same time every 30 or 90 days (with some exceptions). Medication Synchronization: What is it? 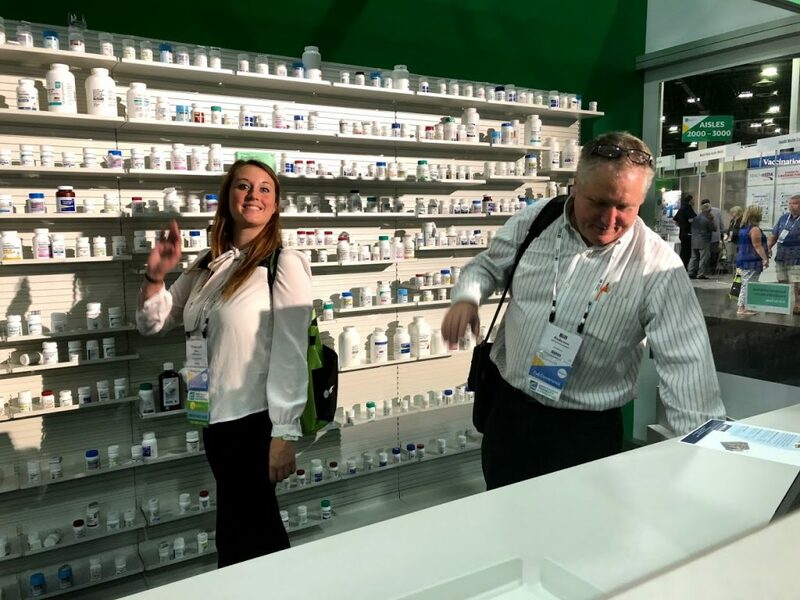 Medication synchronization, or “MedSync,” is a service that lets our pharmacists coordinate the refills of all your maintenance medications so that they are filled and ready for pickup on a single day each month. 90-day medication supplies can be synced too! Talk to one of our pharmacists if you have questions about syncing a 90-day supply. Another benefit of MedSync is that it eliminates the need to call in most prescription refills, as well as giving you the opportunity to meet with one of our pharmacists on a regular basis to discuss your medications. MedSync can also help if you are getting your medications delivered multiple times each month. Why not get all your prescriptions delivered on the same day? Anyone who takes 2 or more maintenance medications is eligible to be set up for MedSync. 30-day medications work best, but we are also able to sync 90-day supplies. It’s important to keep in mind that not all medications are appropriate for MedSync. Antibiotics, “as needed” medications, controlled substances, insulins, and topical ointments are examples of medications that can’t be set up for MedSync. When you choose to get set up for Medsync, we may have to contact your doctor to ask for a “short-fill.” A “short-fill” is a small quantity of a medication your doctor will prescribe in order to sync up your prescription fill dates. This allows us to align all your medications, allowing them to be filled and picked up on the same day. Some insurance plans may charge a small, prorated copay for these shorter supplies, but this will only happen once at the beginning of the process. If you have questions about the potential cost of the initial MedSync copay, please call one of our pharmacists today. It is also important that you remember to pick up your medications on or close to the scheduled day. If you are in a time crunch remember; we deliver prescriptions to Naperville 5 days a week at no charge! Medication Synchronization: How Does it Work? Once you have decided that you want to be set up for MedSync, ask one of our pharmacy staff members about getting started. The pharmacy staff will review your medications with you to see which medications you are still taking and which ones you are no longer using. Once we have coordinated all your medications to a single day, we will call you 3 days before they are due to be picked up every month (or 3 months). On your scheduled pickup day, you will have the opportunity to speak with the pharmacist and ask any questions you may have about any of your medications. This process will repeat every 30 or 90 days, depending on your preference. The main benefit of using the Medsync program is the time you will save. Cutting 3 trips to the pharmacy down to one will save at least a half hour—and that’s if you live close by! Think about not dealing with extra traffic, crowds and more credit card charges to verify on your statement. Sounds pretty good, right? If you are interested in signing up for MedSync or want more information, give us a call at (630)-355-2500 or stop by the pharmacy. *Maintenance medications include most drugs prescribed for long-term or chronic conditions. Most maintenance meds are taken on a daily basis. If you have questions about maintenance medications, feel free to call one of our pharmacists. Hannah started working for Oswald’s Pharmacy in 2018. 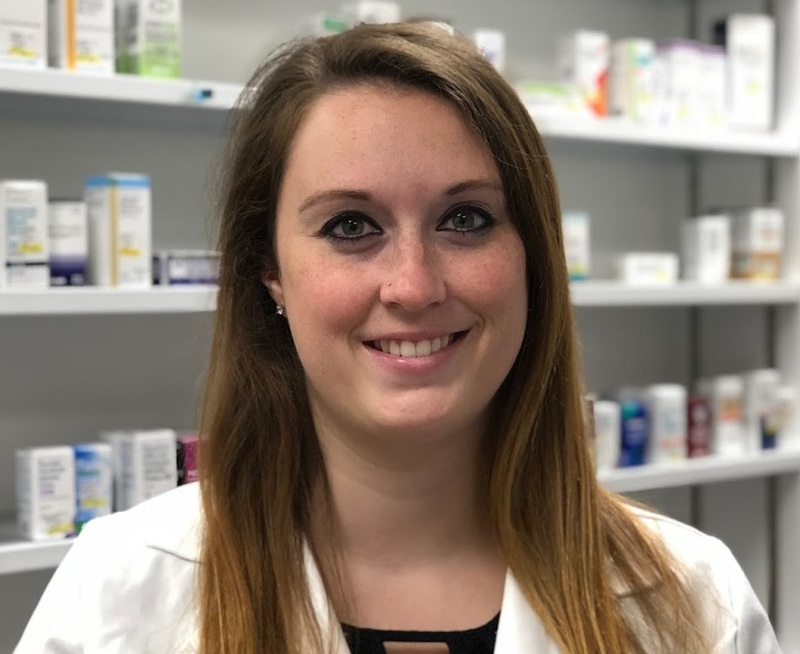 Hannah is a pharmacist focusing on service and pharmacy innovation.